Jewel Classic is a serving dish that is a real jewel! The Jewel Classic platter by Villeroy & Boch is a real gem for the table. It is part of the Classic Buffet collection that consists of four buffet plates. 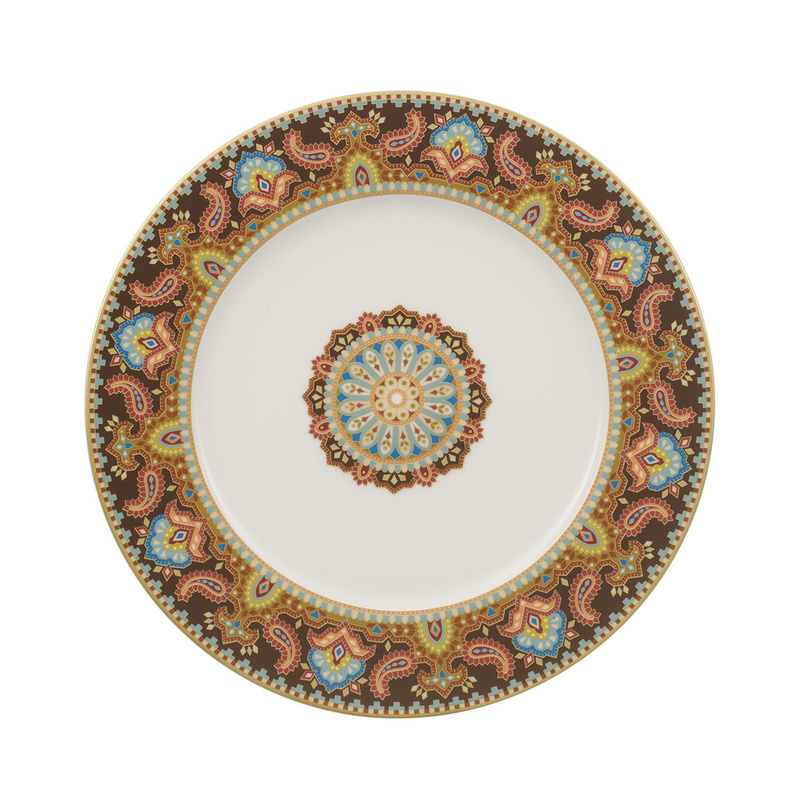 The elegance of this platter with its delicate decoration combines with a great quality. Made of Bone Premium porcelain, this serving dish has an oriental character that makes it suitable to set a table in the most refined way. The platter Jewel Classic by Villeroy & Boch and the collection to which it belongs are among the best sellers among those who want to make a gift of a certain value. Those who receive the gift appreciates the refined taste of the item and its excellent quality. Jewel Classic is a classic platter but it is also suitable for a table with a modern style. The creations of Villeroy & Boch are timeless; their beauty does not have a historical reference and it is characterized by a timeless classicism. The historical Villeroy & Boch company was founded in 1748 and step by step it has reached an international success. Setting the table with the serving dishes Jewel Classic by Villeroy & Boch means giving a great importance to style and refinement. When you buy the serving dish Jewel Classic by Villeroy & Boch you are sure to buy a plate of great value that will have a long life thanks to the excellent quality of the material it is made of. Buying design products is the best way to avoid buying objects of poor quality. The quality is always guaranteed by a major brand. Villeroy & Boch is recognized as one of the best brand in the field of table complements, and its products are often examples of art for the table. The platter Jewel Classic is one of the most artistic and refined products by Villeroy & Boch. It's an object to be shown when you have guests but also to be used every day to make your lunch time a break of pure elegance.